Samuel Jones is one of the few American composers who have brought traditional neo-romanticism—the aesthetic creed of composers like Howard Hanson, Samuel Barber, and others featured on this Web site—into the 21st century. But Jones is no imitator of his predecessors—his is an authentic and eloquent compositional voice, one that has developed a fervent coterie of enthusiastic admirers. Born in Mississippi in 1935, Jones earned his graduate degrees at the Eastman School of Music, where he was one of the later composition students of Howard Hanson. After leaving Eastman, he focused his career in three directions: In addition to composing, Jones has been active as both a conductor and a member of the academic world, in the dual roles of teacher and administrator. As a conductor, he served as Music Director of the Rochester Philharmonic from 1965 to 1972. Perhaps his most distinguished academic accomplishment was founding in 1973 the Shepherd School of Music at Rice University in Houston, serving as Dean for six years, and remaining there in various capacities for 24 years. 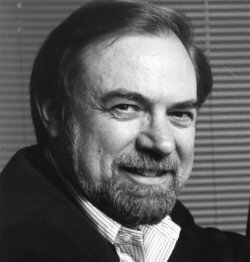 Retiring from the Shepherd School in 1997, he served for 14 years as Composer-in-Residence with the Seattle Symphony Orchestra, until 2011. That position resulted in a close relationship with the distinguished conductor Gerard Schwarz, who has performed and recorded his music widely. Despite his many musical activities, Jones has amassed a varied output of more than 40 works, including three symphonies, a touching opera based on Truman Capote’s well-known story A Christmas Memory, a religious oratorio, and even a children’s piece for narrator and orchestra based on a story by Eudora Welty. Among his most distinguished recent contributions are a series of six concertos all written since 2006, featuring the tuba, the French horn, the cello, the violin, and the trombone. Along with his other works, these concertos have helped to establish Jones’s place among contemporary composers as a humanistic creative voice, one that seeks emotional and spiritual expression in a language that communicates readily with listeners.